Knitters and crocheters of all kinds! Susie Hewer plans to break a Guinness World Record by creating the longest crochet chain while running a marathon! She will crochet while running the London Marathon in May and will donate all the money she raises during her journey to the Alzheimer’s Research Trust. She already holds the record for knitting the longest scarf while running! 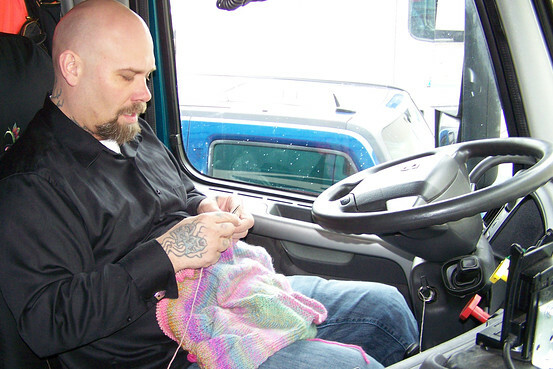 21 year-old Jose Caraballo discovered knitting and hasn’t looked back! 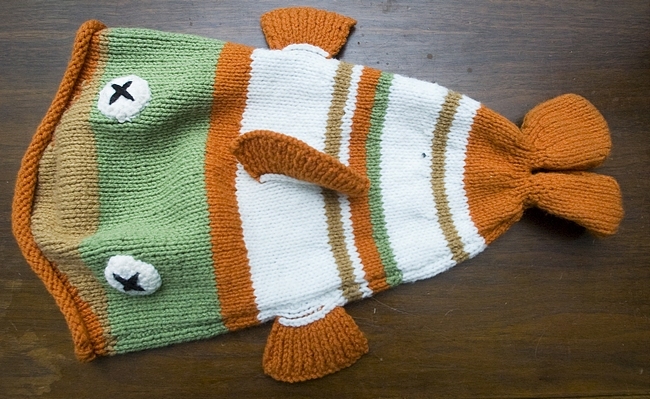 He makes creatively awesome hats (like the one above), as well as stuffed animals, sweaters and even lightsabers! One day, he hopes to create an entire Spiderman costume. Phoebe and Tess Hardy love to knit! 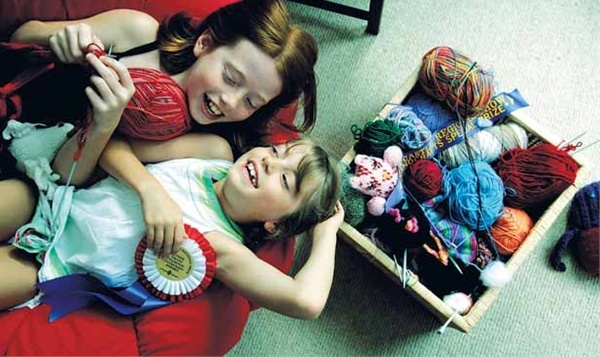 Phoebe, 9, can often be seen knitting on the playground, and she and Tess, 7, have recently picked up a few knitting awards– besting opponents who were as old as 17!